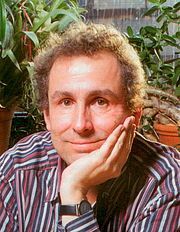 Much of the progress in vision research depends on our use of well chosen model organisms. 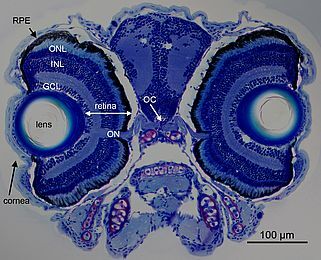 We use the zebrafish (Danio rerio) for our research, mainly using its genetic amenities and to take advantage of its cone dominant retina (Figure 1). The zebrafish has been for some time a favorite model to study vertebrate development due to its high fecundity (more than 100 offspring per week and pair), its rapid extracorporal development, and its largely transparent embryos, suitable for superb imaging. These advantages also apply to the visual system, where the retina is fully functional at 5 days post fertilization (Figure 2) already supporting a number of visual behaviors (Gestri et al., 2012). One such behavior is the optokinetic response, where 5 day old larvae reliably display stereotypical eye movements in response to moving gratings in the surround. We and others have used this robust behavior to perform genetic screens on chemically mutated larvae, resulting in a wealth of visually impaired mutant strains. Recently the genetic toolbox applicable to study vision in zebrafish has been considerably expanded by morpholino knockdown technology, transposon mediated transgenesis and site directed introduction of genetic mutations by TALEN technology (Renninger et al., 2011b). In our research we take advantage of the cone dominant retina of the zebrafish aiming to contribute to the still sketchy understanding of cone photoreceptor function. One of our aims is to gain a better understanding of cone adaptation to changing light levels. Cone photoreceptors are able to function over an impressive range of light intensities, using a variety of biochemical adaptation mechanisms working on the visual transduction cascade. We have found that most of these regulatory proteins have cone specific isoforms. One such specific protein is Grk7, a cone specific rhodopsin kinase. Inactivation of this kinase affects cone response recovery and dark adaptation (Rinner et al., 2005b). Similar findings were obtained for other members of this inactivation cascade, such as cone specific arrestins, that even have spectral specific isoforms, with one version expressed in red and green sensitive cones, while the other one being expressed in UV and blue cones (Renninger et al., 2011a). Cones use a private pathway to recycle their visual pigment. Rod photoreceptors rely exclusively on the canonical visual cycle involving the retinal pigment epithelium (RPE). In contrast, studies in amphibians, birds and by us in fish, gave evidence for a cone exclusive recycling pathway (Schonthaler et al., 2007). This alternative pathway is located in Müller glia cells and by various gene inactivation experiments we could showed that this alternative visual cycle is cone exclusive, while pigments of both rods and cones can be recycled via the canonical visual cycle (Fleisch et al., 2008) (Fleisch and Neuhauss, 2010). Recently these results from lower vertebrates have been confirmed in the mammalian retina. We are also interested in glutamate signaling at the photoreceptor synapse, as the next step in the visual pathway. Our main focus here is the ON pathway, the sign inversing signaling where the classic excitatory neurotransmitter glutamate leads to a hyperpolarization (inhibition) of the postsynaptic bipolar cell. We could show that the well established postsynaptic mGluR6 receptor cascade is involved in the zebrafish ON response, but cannot account for the full response (Huang et al., 2012). We are currently focusing on the additional contribution of glutamate transporters (EAAT) to the ON response, probing the exciting possibility that also chromatic information is already processed at this complex synapse (Gesemann et al., 2010). Finally, we are using and further developing behavioral assays to probe visual function (Rinner et al., 2005a; Haug et al., 2010; Mueller and Neuhauss, 2010; Mueller et al., 2011; Mueller and Neuhauss, 2012). We are currently focusing on establishing visual tests for adult fish and to establish high throughput assays for larvae that could be used in chemical screens. Behavioral assays that are based on vision dependent eye movements are not only suitable to identify larvae with defects in visual perception, but also in abnormal eye movements. Indeed, one of the mutants (belladonna) from the original behavioral screen was identified due to curiously reversed oculomotor movements (Neuhauss et al., 1999; Rick et al., 2000). Further studies have established this mutant as a model for human infantile nystagmus, characterized by involuntary abnormal eye movements (Huang et al., 2006; Huang et al., 2009; Huang et al., 2011). Fleisch VC, Neuhauss SC (2010) Parallel visual cycles in the zebrafish retina. Prog Retin Eye Res 29:476-486. Fleisch VC, Schonthaler HB, von Lintig J, Neuhauss SC (2008) Subfunctionalization of a retinoid-binding protein provides evidence for two parallel visual cycles in the cone-dominant zebrafish retina. J Neurosci 28:8208-8216. Gesemann M, Lesslauer A, Maurer CM, Schonthaler HB, Neuhauss SC (2010) Phylogenetic analysis of the vertebrate excitatory/neutral amino acid transporter (SLC1/EAAT) family reveals lineage specific subfamilies. BMC Evol Biol 10:117. Gestri G, Link BA, Neuhauss SC (2012) The visual system of zebrafish and its use to model human ocular diseases. Dev Neurobiol 72:302-327. Haug MF, Biehlmaier O, Mueller KP, Neuhauss SC (2010) Visual acuity in larval zebrafish: behavior and histology. Front Zool 7:8. Huang MY, Chen CC, Huber-Reggi SP, Neuhauss SC, Straumann D (2011) Comparison of infantile nystagmus syndrome in achiasmatic zebrafish and humans. Ann N Y Acad Sci 1233:285-291. 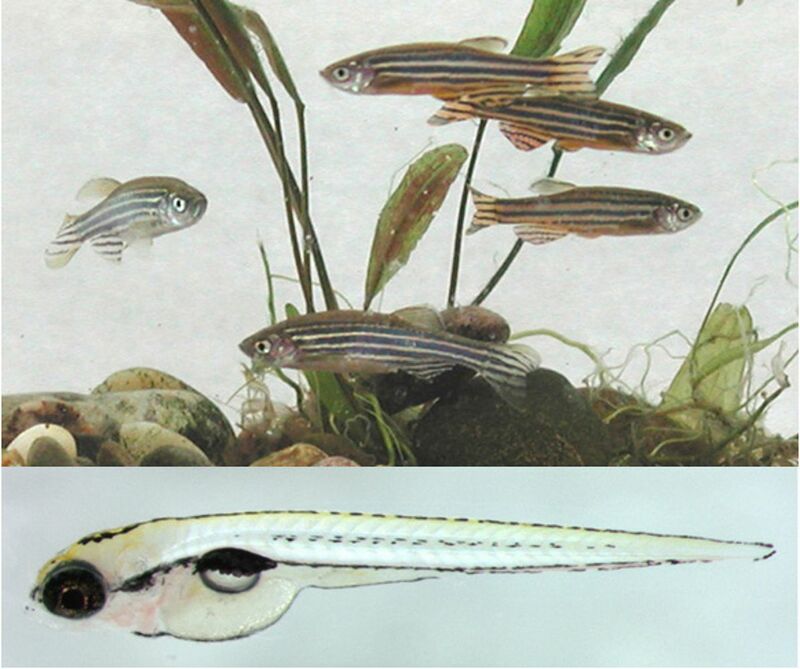 Huang YY, Tschopp M, Neuhauss SC (2009) Illusionary self-motion perception in zebrafish. PLoS One 4:e6550. Huang YY, Haug MF, Gesemann M, Neuhauss SC (2012) Novel expression patterns of metabotropic glutamate receptor 6 in the zebrafish nervous system. PLoS One 7:e35256. Huang YY, Rinner O, Hedinger P, Liu SC, Neuhauss SC (2006) Oculomotor instabilities in zebrafish mutant belladonna: a behavioral model for congenital nystagmus caused by axonal misrouting. J Neurosci 26:9873-9880. Mueller KP, Neuhauss SC (2010) Quantitative measurements of the optokinetic response in adult fish. J Neurosci Methods 186:29-34. Mueller KP, Neuhauss SC (2012) Automated visual choice discrimination learning in zebrafish (Danio rerio). J Integr Neurosci 11:73-85. Mueller KP, Schnaedelbach OD, Russig HD, Neuhauss SC (2011) VisioTracker, an innovative automated approach to oculomotor analysis. J Vis Exp. Neuhauss SC, Biehlmaier O, Seeliger MW, Das T, Kohler K, Harris WA, Baier H (1999) Genetic disorders of vision revealed by a behavioral screen of 400 essential loci in zebrafish. J Neurosci 19:8603-8615. Renninger SL, Gesemann M, Neuhauss SC (2011a) Cone arrestin confers cone vision of high temporal resolution in zebrafish larvae. Eur J Neurosci 33:658-667. Renninger SL, Schonthaler HB, Neuhauss SC, Dahm R (2011b) Investigating the genetics of visual processing, function and behaviour in zebrafish. Neurogenetics 12:97-116. Rick JM, Horschke I, Neuhauss SC (2000) Optokinetic behavior is reversed in achiasmatic mutant zebrafish larvae. Curr Biol 10:595-598. Rinner O, Rick JM, Neuhauss SC (2005a) Contrast sensitivity, spatial and temporal tuning of the larval zebrafish optokinetic response. Invest Ophthalmol Vis Sci 46:137-142. Rinner O, Makhankov YV, Biehlmaier O, Neuhauss SC (2005b) Knockdown of cone-specific kinase GRK7 in larval zebrafish leads to impaired cone response recovery and delayed dark adaptation. Neuron 47:231-242. Schonthaler HB, Lampert JM, Isken A, Rinner O, Mader A, Gesemann M, Oberhauser V, Golczak M, Biehlmaier O, Palczewski K, Neuhauss SC, von Lintig J (2007) Evidence for RPE65-independent vision in the cone-dominated zebrafish retina. Eur J Neurosci 26:1940-1949.